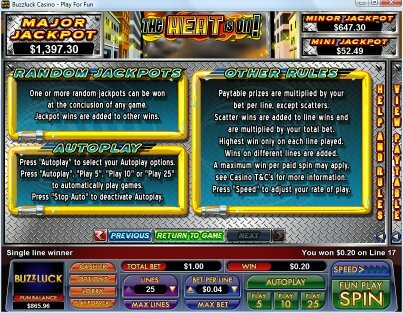 Overview: Feel the heat, 'cos in this sizzling new slot, The Heat is On! 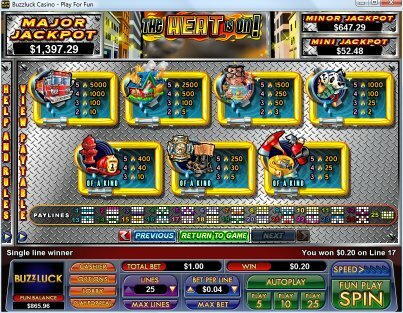 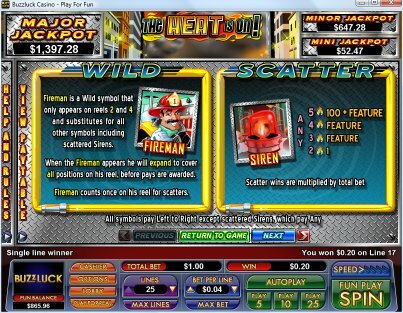 The Fireman is an expanding Wild, and the feature can award up to an impressive 180 free games. 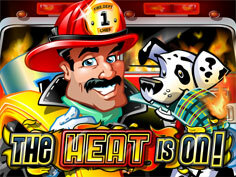 Fight the fires and find fortunes blazing as you attempt to extinguish fires within a burning building. 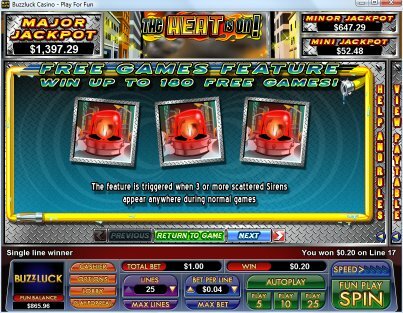 Successful attempts award a multitude of free games and bonus chances of increased prize multipliers. 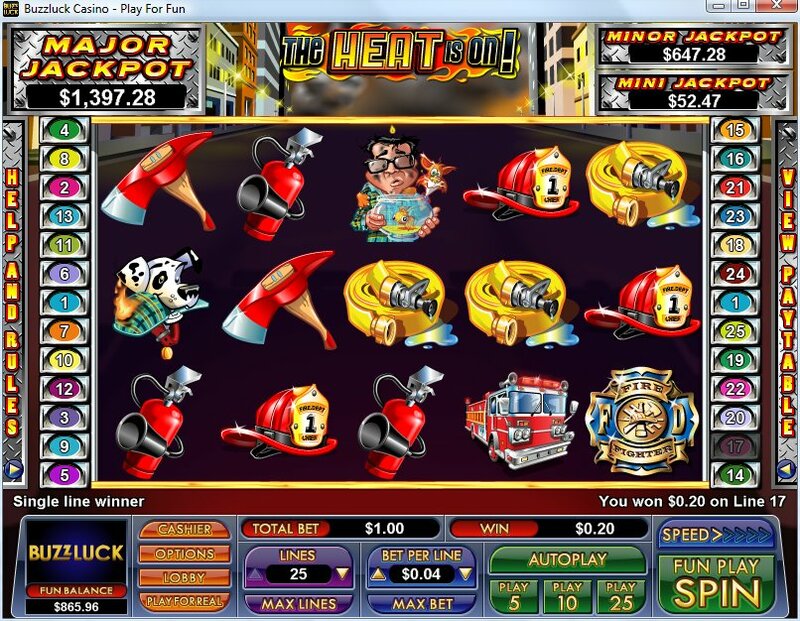 A mini, minor and major random jackpot will keep things burning hot, so grab your fire hat and watch the sirens flash with The Heat Is On! 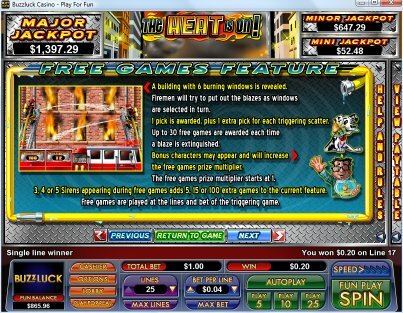 Similar Slots: If you like The Heat is On!, you might like these other slot machines from NuWorks: Ancient Wonders, Catmandu, Duel in the Deep, Eye of Ra, Head Hunter, Moby Duck.